Whether you’re aware of it or not – but some part of your regular domestic waste is actually biodegradable waste. And in Berlin biodegradable waste basically stands for power, energy and carbon dioxide reduction. So you are kind of expected to separate your biodegradable / organic waste from the rest and place it in special trash bin. This may sound easy at first, but especially for nuBerliners this may be a difficult task to handle. In Berlin we call this type of waste “Biomüll” – which could translate to “bio waste” or “bio trash”. Actually this type of waste has nothing to do with “bio food” (organic food) and should probably rather be called “Organischer Müll” – but everybody just calls it “Biomüll” anyways and the related trash bin is called “Biotonne”. 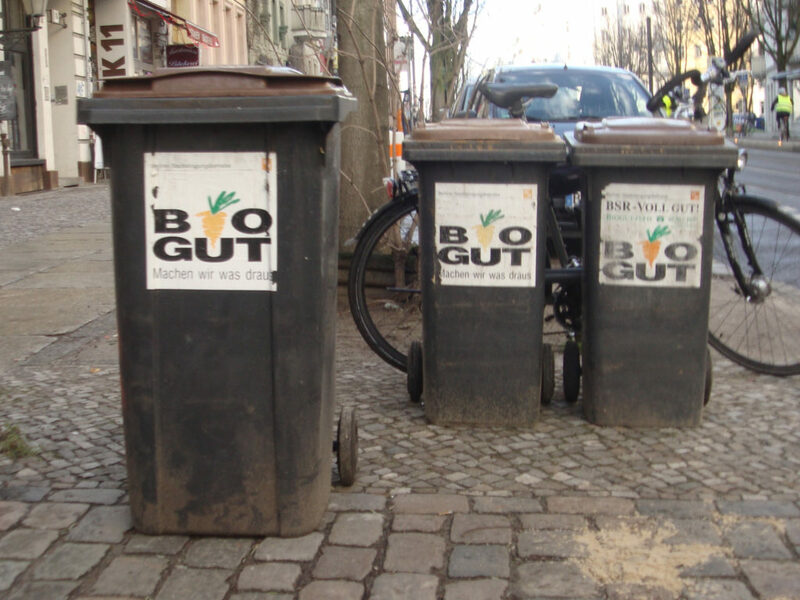 Usually you should recognize the appropriate trash quite easily: it comes with a brown lid and often has a sticker labelled “BIO GUT” on the front – as you can see in the above picture. Like any other trash bin these boxes are usually picked up and emptied once a week. What is biodegradable waste? What to put in the bio waste bin? 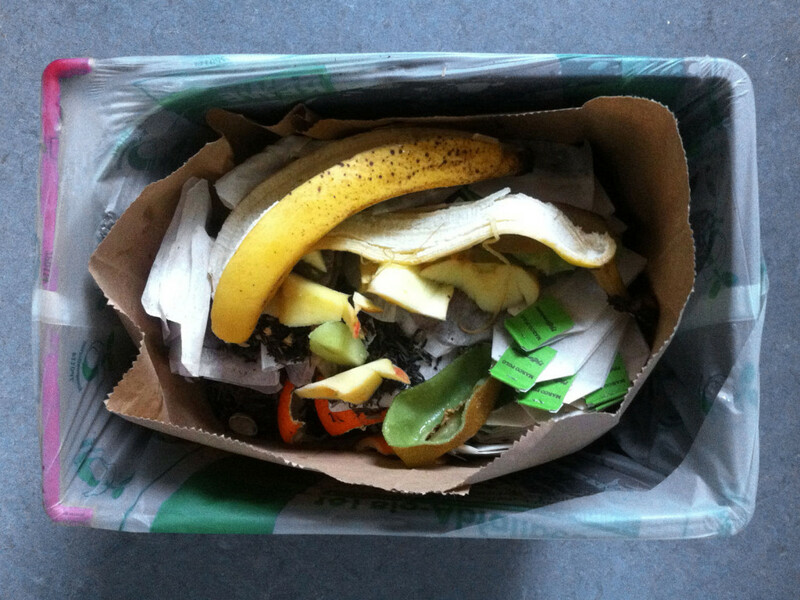 It can be a bit challenging to actually collect biodegradable waste inside your kitchen. The waste can begin to rot and smell after a couple of days. Especially in the summer time it may even start stinking – and of course it may attract or even breed little flies. There are however special bins available that are rather suitable to collect biodegradable waste. They are rather small and have a lid. There are also some combi-bins that fit well underneith the kitchen sink. In basically every supermarket there are paper bags and plastic bags available that are biodegradable (“kompostierbar”). In my experience it works best if you place the paper bag inside the plastic bag and bring the organic waste down to the bin every 3-4-5 days.